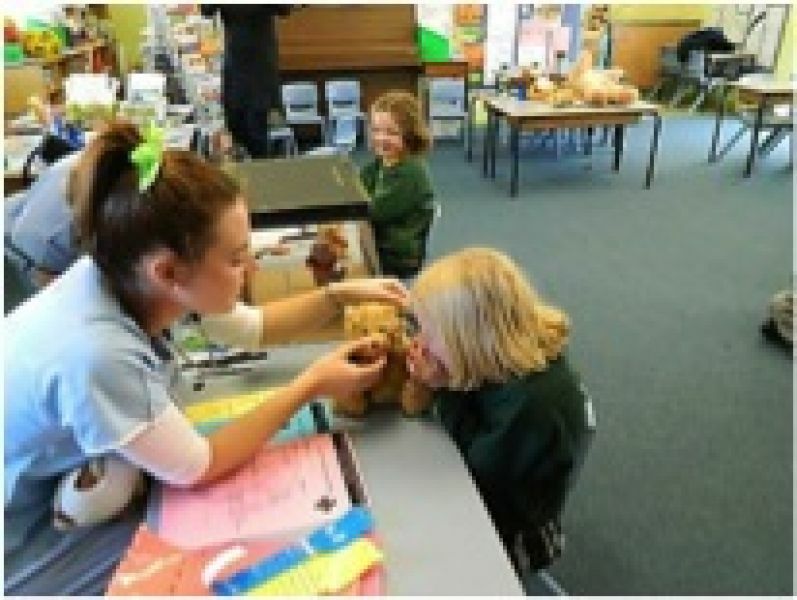 The teddy bear hospitals are very popular with preschool age children. 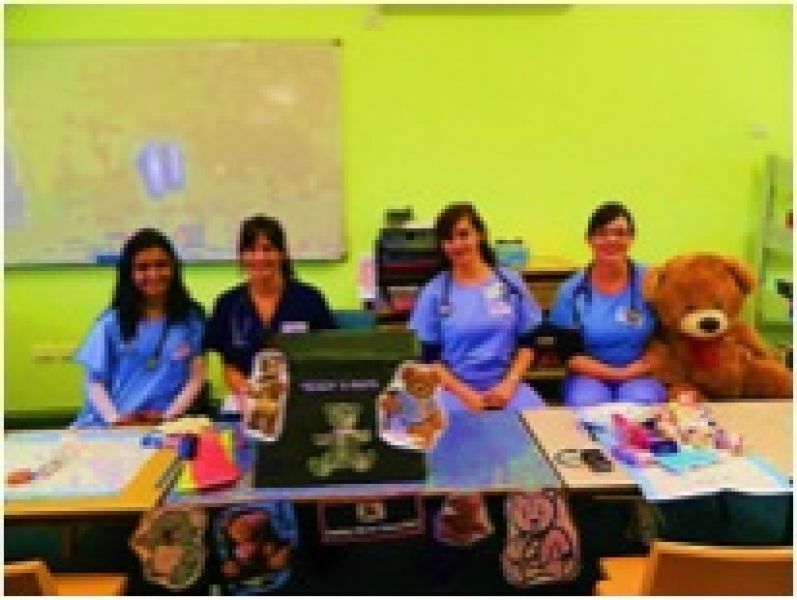 They bring along their favourite teddy, and medical and radiography students examine the 'sick Teddies' and then deliver medical treatment such as bandaging. They also offer recommendations for the child to administer lots a cuddles, tickles, drink lots of water and eat more fruit and vegies. 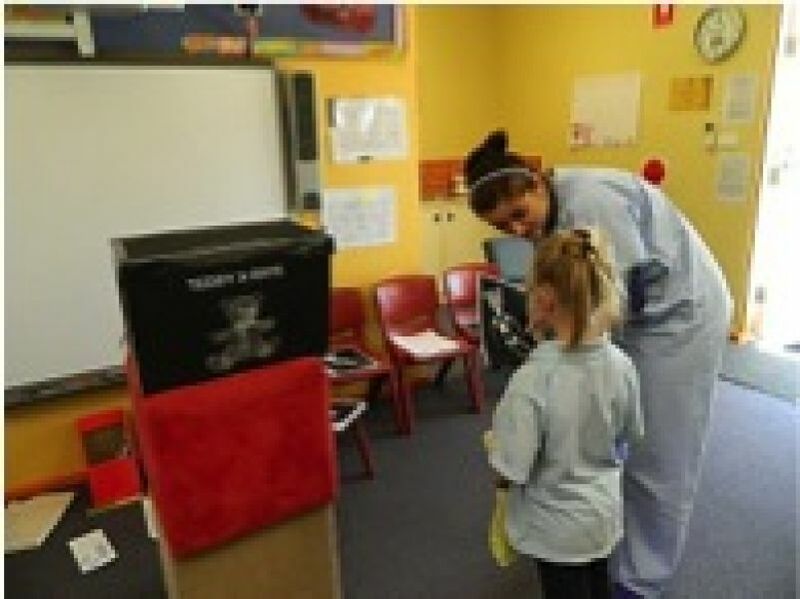 The purpose is to break down some of the fear that young children have of going to hospital, while the students get a chance to practice their communication skills with preschoolers. Generally, all of our medical and radiography students have an opportunity to particpate in these events. 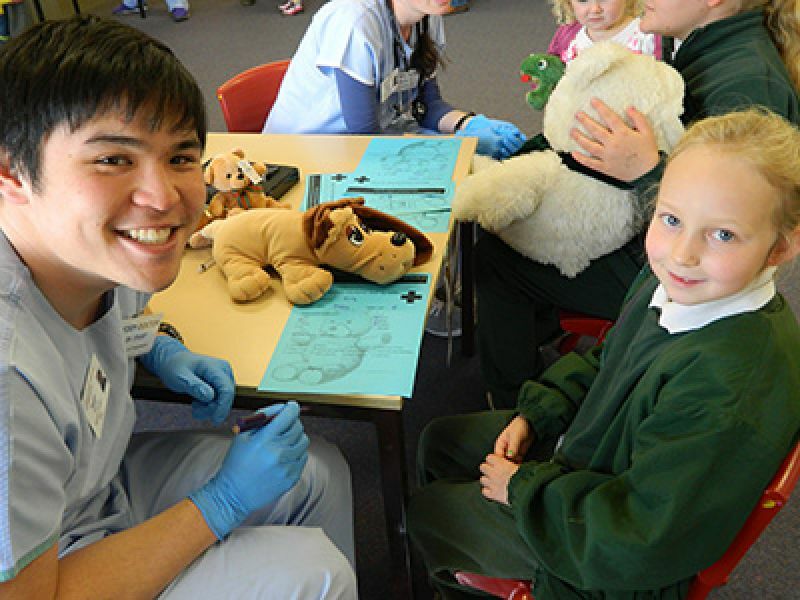 Medicine student Stuart Sugito assessing a teddy at Currabubula Public School. 4th year medicine students Maryam Cassim, Catherine Brown, Vanessa Lee and Jessica Brown ready to commence at a public school. 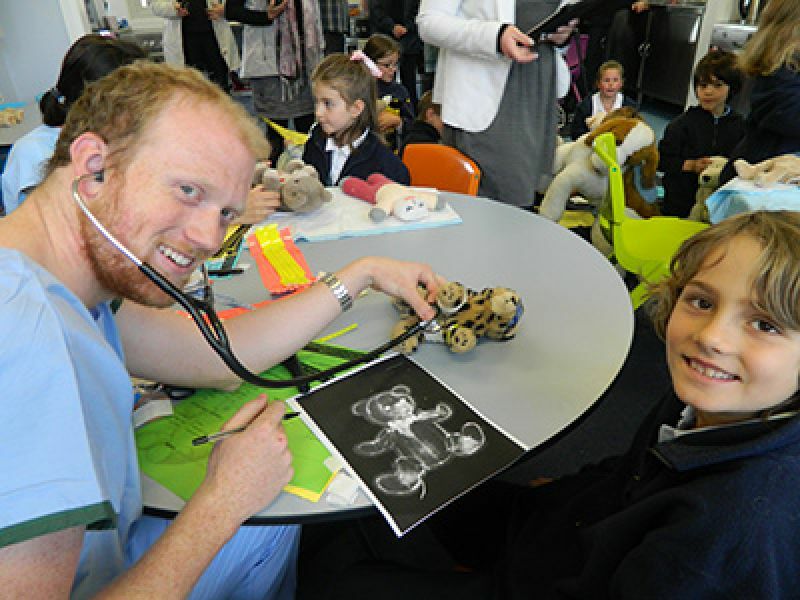 4th year medicine student Daniel DeWit checking the heart beat and discussing the outcome of the Teddy x-ray with a student. 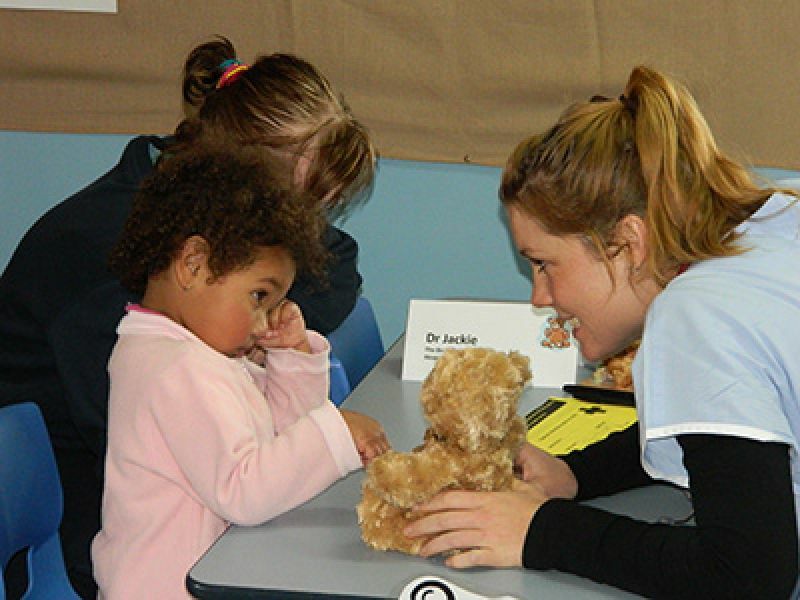 4th year medicine student Rebecca Landers reassuring a child and her teddy at Birrelee Multifunctional Aboriginal Children’s Services.